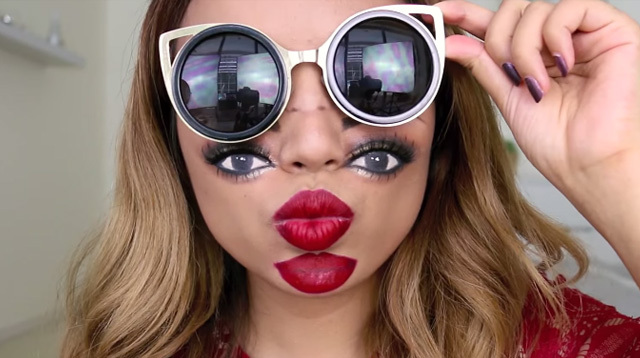 In her latest video, Promise created this bizarre but super amazing “Double Vision” makeup tutorial as part of her Halloween 2015 videos. She basically recreated her entire eye area—brows, eyes, eyeshadow, lashes—on the lower half of her face. We mean, if that doesn’t show how insane her makeup skills are, then we’re not sure what else will. INSANE, RIGHT?! It also baffles us how calm she was throughout the video, even ending it by saying how easy it was to do it. We want your skills, Promise!